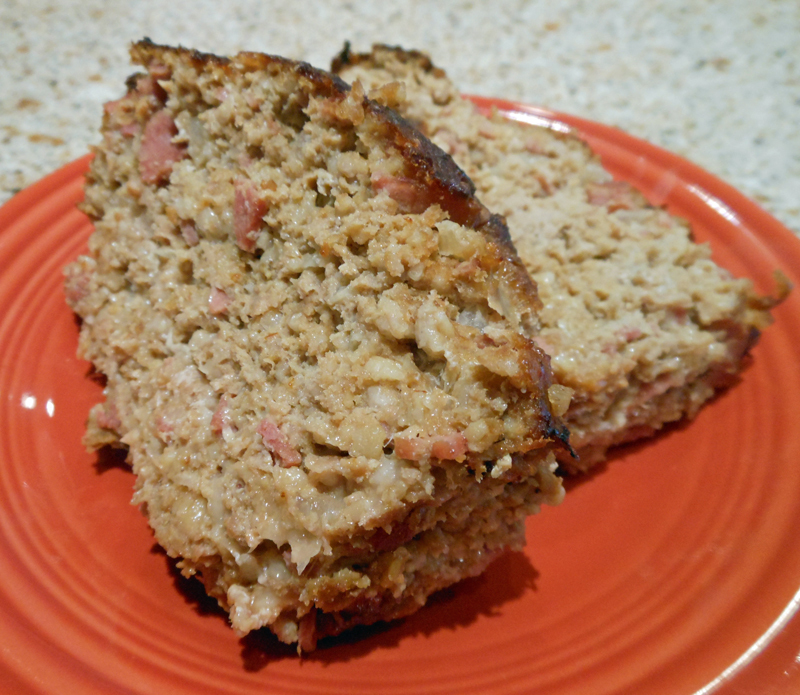 This is a really good, healthy meatloaf. Only 215 calories and 9 grams of fat per serving. Next time I make it, I will put the bacon in the food processor instead of dicing it. Mix all ingredients in large bowl. Press mixture into ungreased 9 x 5-inch loaf pan. Top with additional barbecue sauce, if desired. Bake at 375 degrees for 1 hour 15 minutes. Allow to stand 10 minutes before slicing. Note: Meatloaf ingredients may be combined 1 day ahead and refrigerated. Bake at 375 degrees for 1 1/2 hours.